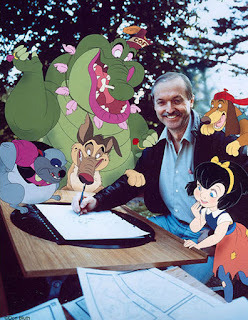 Did you know that yesterday was Don Bluth's 80th birthday? 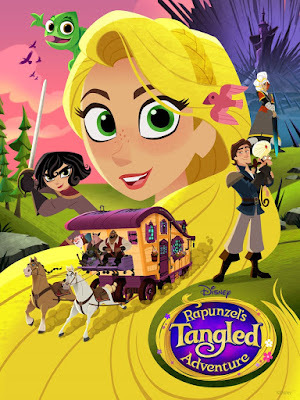 In case you're out of the loop, Don Bluth is an animator who used to work for Disney until he teamed up with Gary Goldman and made a whole bunch of hit animated features on his own in the '80s and '90s. He is responsible for Anastasia, one of my favorite animated princess movies of all time as well as Thumbelina. To top things off, he created a cool animated game called Dragon's Lair that was in arcades and on laser disc. Despite his age, Don and Gary are still working hard to bring their fans great animation. They recently started an Indiegogo campaign to do a full-length animated feature film of Dragon's Lair. Don Bluth is very loyal to his fans and responds to nearly all animation-related inquiries on his website. 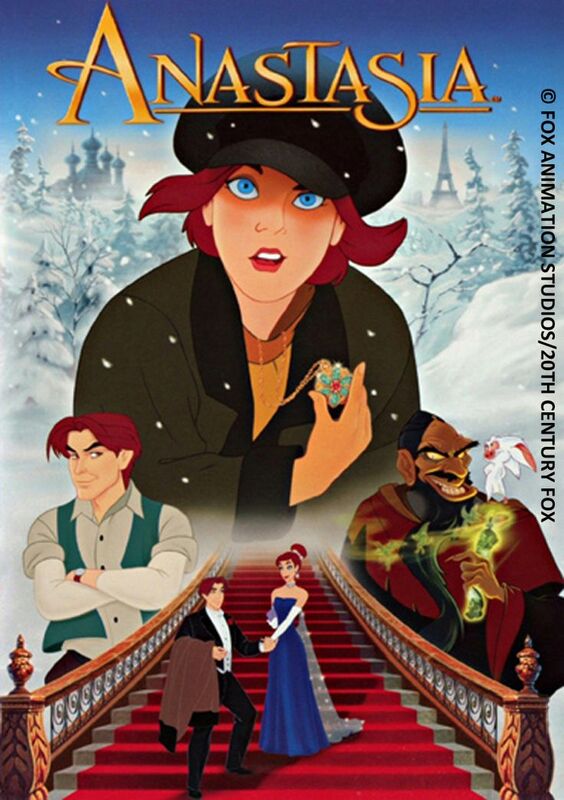 In my opinion, Don Bluth's greatest masterpiece of all time was Anastasia in 1997. The movie used state-of-the-art technology for the time period. I wasn't very familiar with CGI back them, so I was amazed by how realistic the train looked that Anya, Dimitri, and Vlad had to escape from. Who could possibly forget the "Once Upon a December" sequence, in which all of the Russian royalty of the past stepped out of their paintings in the form of ethereal glittering ghosts? The scene appears to be the inspiration for a similar sequence in the 2002 Princess and the Pea movie. I loved all of Anastasia's looks too, especially her super sparkly crown. The film also featured a very memorable soundtrack, with gorgeous performances by Liz Callaway. I loved that Anya was such a modern princess, which is something that Don made certain of as the movie's director. He wanted her to be scrappy, street smart, and able to stand up for herself. She was physically stronger than Dimitri and smarter in many ways. Rasputin was a formidable villain who really allowed Anya to show off her courage and vulnerability. Her relationship with Dimitri developed organically and felt earned by the end of the movie. Another great thing about Anastasia is that it featured a plus-sized lady-in-waiting named Sophie who was an amazing, glamorous, and gorgeous character who got to wear some of the most fantastically flattering dresses. Vladimir was a terrific side character and love interest for Sophie as well. 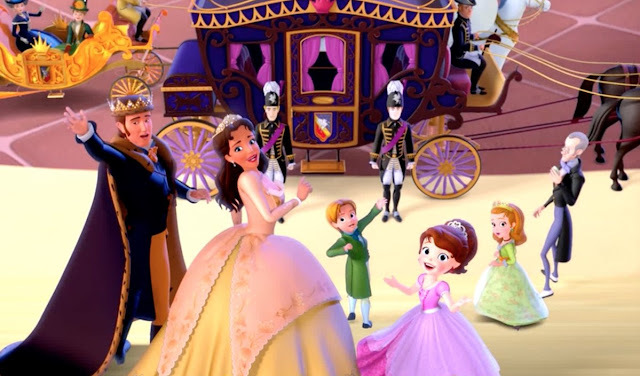 Anastasia recently inspired a Broadway play, which I discussed in my "Princesses on Broadway" post. The other famous princess movie that Don Bluth worked on was Thumbelina in 1994. 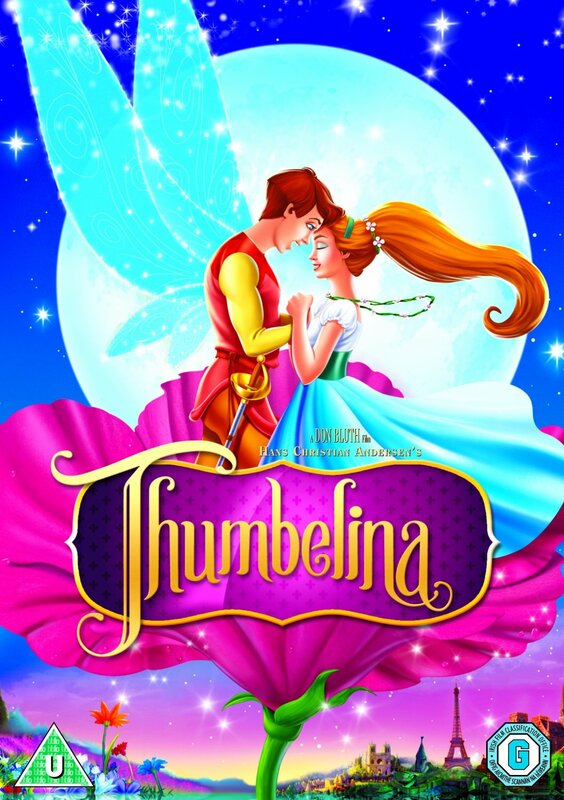 Thumbelina starred one of my favorite princess voices in the lead role, Jodi Benson, who had previously played Ariel in Disney's The Little Mermaid. One of my favorite childhood memories from Thumbelina was watching her multi-colored reflections in the tinted stained glass window while she was singing "Soon." I remember talking to my friends about which color looked the best for her dress. In some ways, Don Bluth produced better animation than Disney. The way Thumbelina's skirt floated and twirled looked like the movement of a real lightweight fabric, like chiffon. 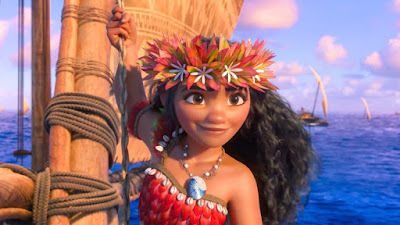 Character movements in his movies tend to look more realistic and less cartoony than Disney. Something else I found interesting about Thumbelina was how closely it followed the original story by Hans Christian Andersen. It was translated practically word for word into Don Bluth's feature film, with only a few extra scenes to expand the world and fill the 90-minute time slot. The "Let Me Be Your Wings" sequence was visually stunning and allowed Thumbelina and Cornelius a chance to get to know each and fall in love before their emotional reunion at the end. Thumbelina is technically a faery princess because she marries Prince Cornelius. The scenes with the faeries were very pretty, but I wish they could have been a bit longer. 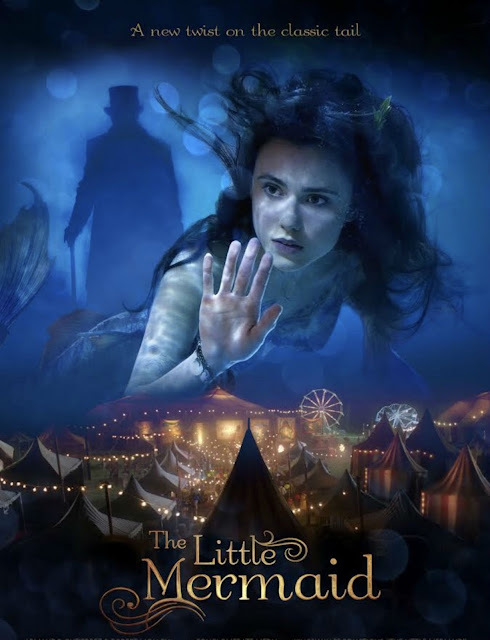 The movie did not explain much of its faery mythology aside from revealing that faeries are responsible for changing the seasons every year. 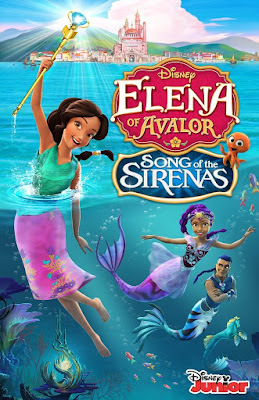 The last notable Don Bluth princess is actually a video game princess. 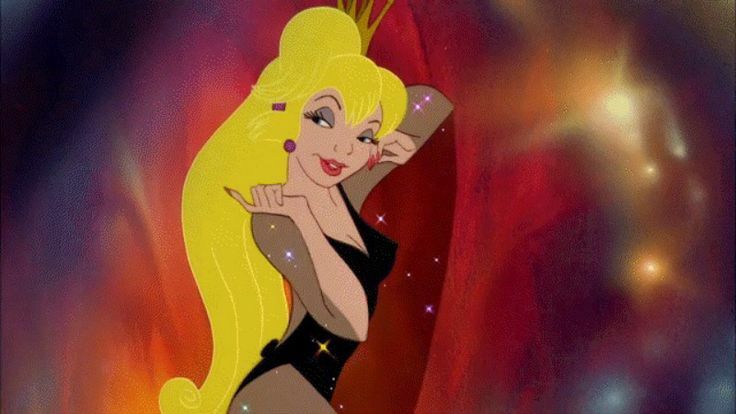 Daphne from the 1983 game, Dragon's Lair is quite unusual for an animated fantasy princess. 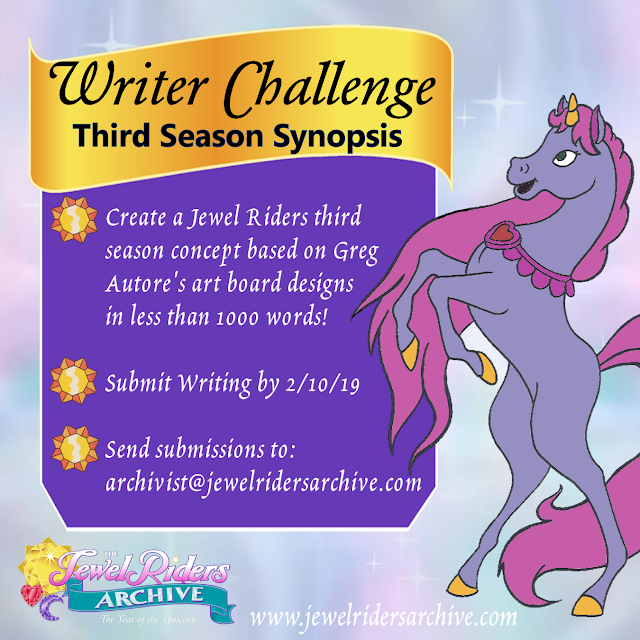 She is overtly sexual and unashamedly submissive, similar in personality to Princess Peach and in appearance to a blonde version of Jessica Rabbit. Princess Daphne plays such a small role in the game that she's able to get away being obvious eye candy. It's more about the animation and gameplay than the story. Dragon's Lair is unique because very few video games feature hand-drawn artwork. The only other one that I'm aware of is Cuphead, which is being released later this month. 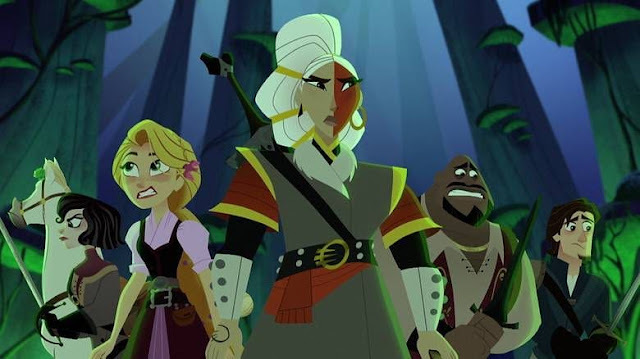 Dragon's Lair still has a cult following, which is why Don Bluth and Gary Goldman are working on an independent feature film for it. The artwork that has been revealed so far looks absolutely gorgeous! In addition to his princess movies, Don Bluth has also worked on such classic animated features as The Secret of NIMH and All Dogs Go To Heaven, making him a staple of every '80s and '90s kid's childhood. At a Disney event I attended once, I asked Don Hahn, the producer of Disney's Beauty and the Beast, a question about Don Bluth. He said that he felt Don Bluth was trying to be the next Walt Disney, which was a mistake because nobody can be Walt Disney. That may be true, but he's still pretty awesome in my book. I hope he had a wonderful 80th birthday yesterday. Here's to many more.